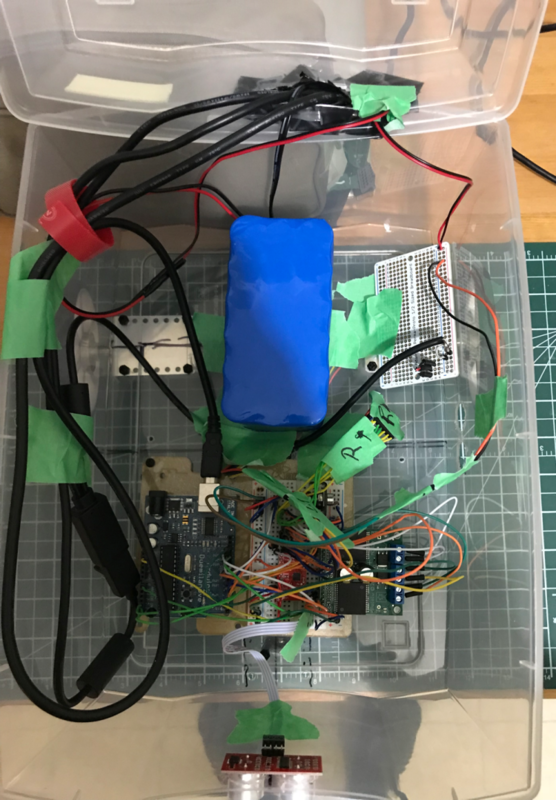 This blog post is a relic of my build of Chefbot, a project detailed in Learning Robotics using Python by Lentin Joseph. Chefbot is an autonomous robot for food delivery in a restaurant. My version of Chefbot deviates from the one detailed by Lentin. I will mostly cover my trouble spots. 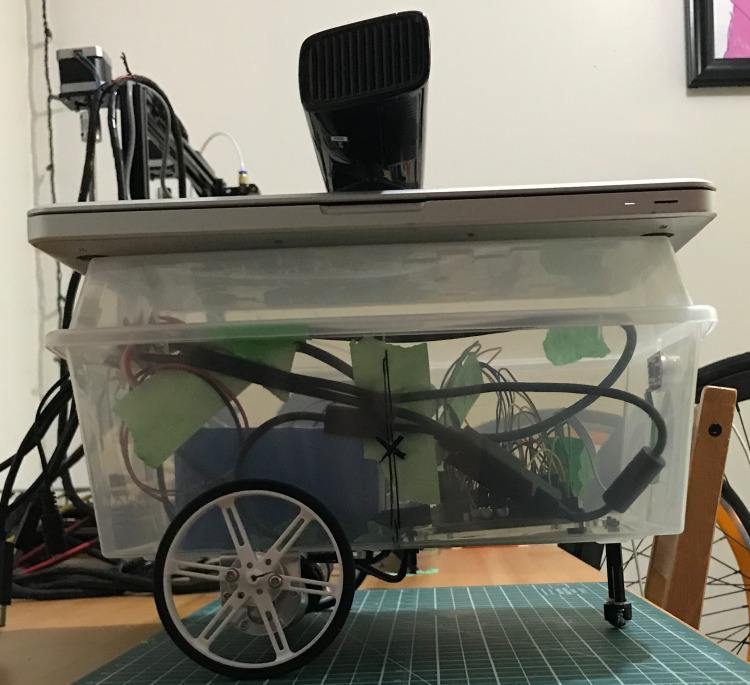 I didn’t want to build that robot so I strapped the hardware to a plastic container. I made some other modifications. For starters, I’m not going use chefbot for food delivery, so it doesn’t need a provision to carry food, or be a meter tall. 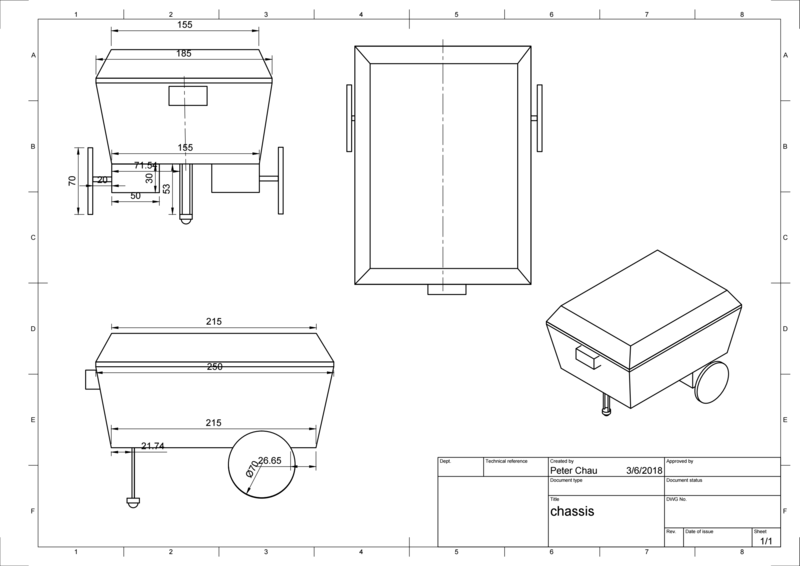 Because I’ve deviated from Lentin’s spec, my version of Chefbot can have a much smaller footprint. I’ve modelled what I’ve built in AutoDesk’s Fusion 360. It’s not perfect but that’s ok. I intend on rechassising Chefbot after it’s software is complete. 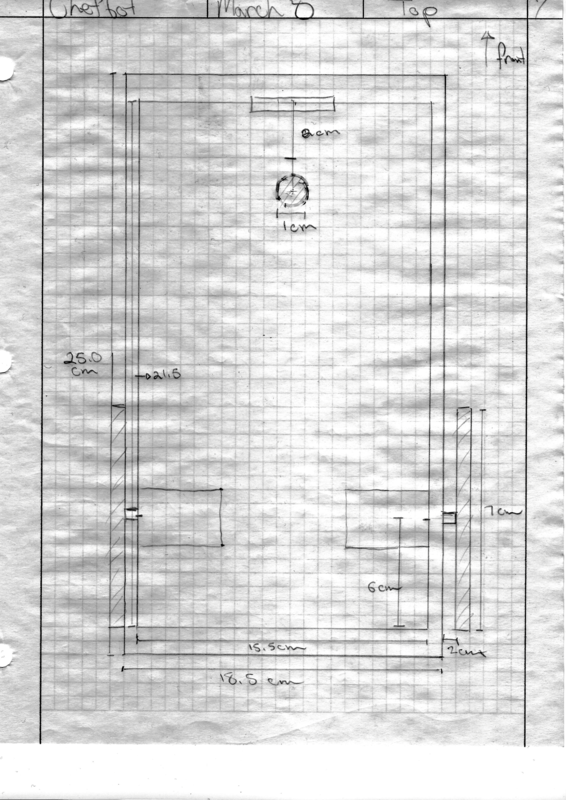 The first step it to make a pencil and paper drawing (how arcane). Let’s start modelling now that we have a rough idea of what we’re going to model. Ok, we’ve got the drawing so lets render a few views as well. We will use Gazebo to run ROS simulations. After installing the ROS integration, we can start the environment. Chefbot uses the Turtlebot stack. Install and proceed to test Turtlebot in an empty world with keyboard teleop and monitor it’s values. 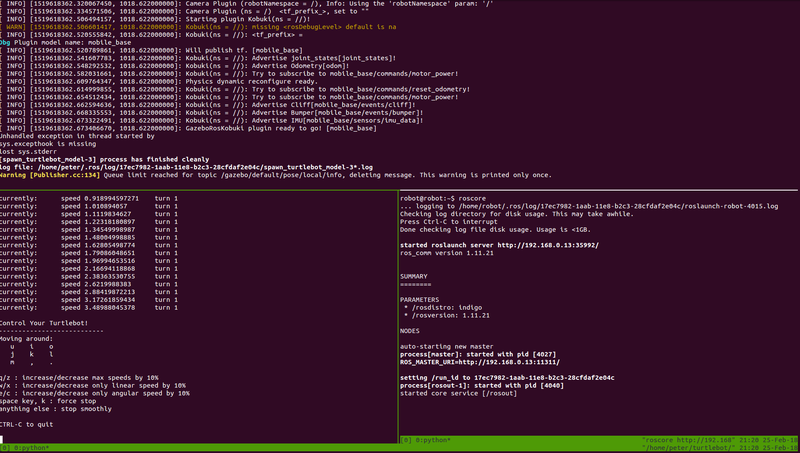 Now that we know our stack is correctly working, we can proceed to test Chefbot. We can use 2D Nav Goal to direct Chefbot to autonomously navigate to a target. The Tiva was nice but it didn’t work properly so I used an Arduino Duemilanove (I had an extra). 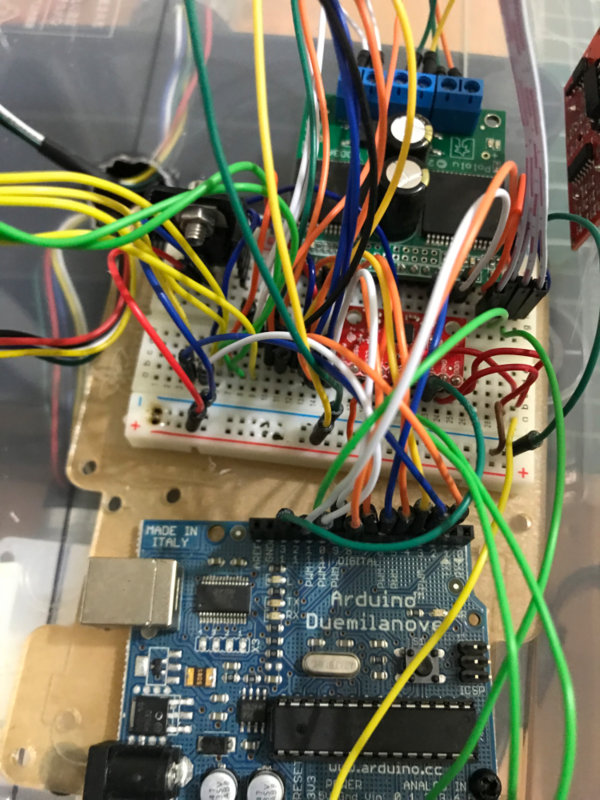 We had to port Lentin’s Tiva code to work with the Arduino. Luckily, the Tiva and Arduino uses a derivative form of Processing C.
Messenger: needs to be switched for the Arduino version. 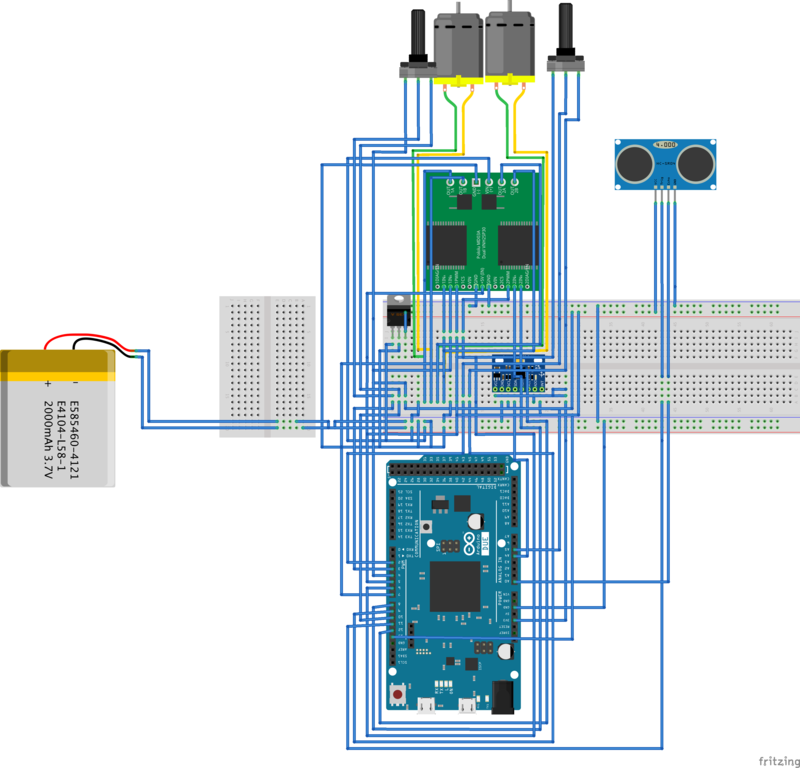 Wprogram: needs to be switched to Arduino.h. 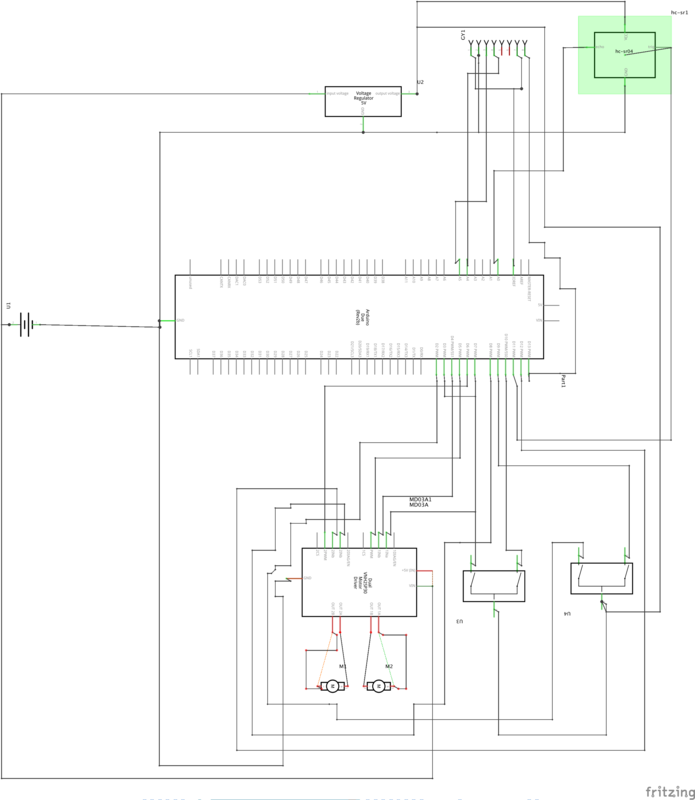 PinChangeInterrupt: I required additional pin interrupt for the MPU6050. MPU6050: Ensure that the MPU6050 library works for your model. I2Cdev: Required to use the I2C interface. Third, adjust the pins from the Tiva C GPIO mapping to Arduino microcontroller GPIO mapping. Finally, adjust the Tiva C code to ensure it runs as desired. This means hooking in the additional libraries. We need to determine the motors for this project. These are the calculations from Lentin. I’ve documented for future reference. If we use 9 cm as the Diameter of Wheel, then the RPM to meet our spec (assume required speed is 0.35 m/s) should be atleast 74 RPM. We will round up and use 80 RPM. The 2 motors interfaces with the motor driver. 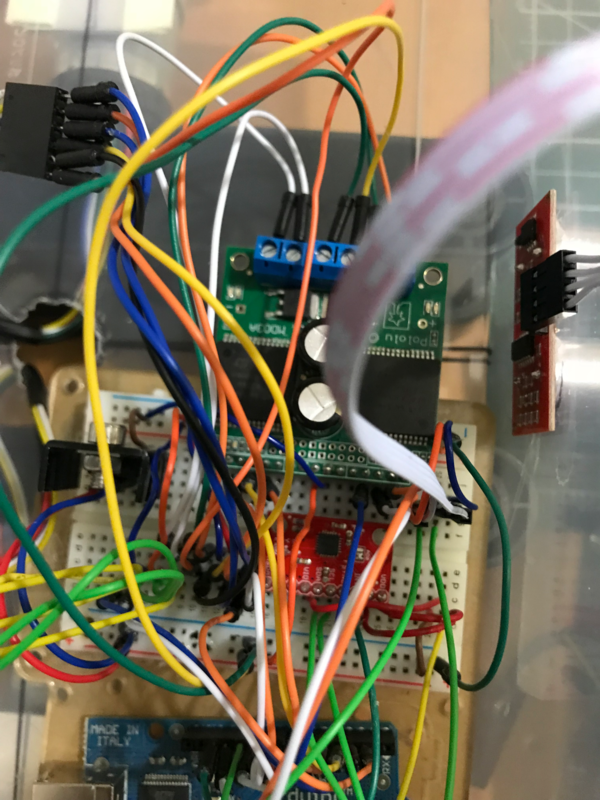 Uses I2C to interface with the microcontroller. We can test that it works with the raw sample program. Next, test with DMP sample program. This is our makeshift Depth camera, RGB camera, and microphone. It enables the really smart stuff. It interfaces with the computer. We need to test that it’s wired correctly. 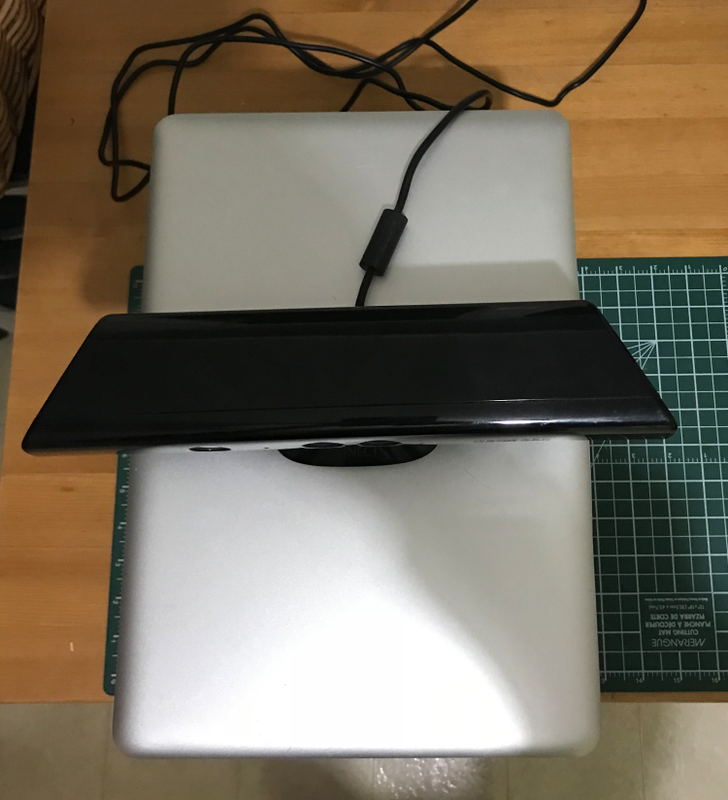 The kinect sensor needs to be powered, and plugged in via USB. After ensure that it works correct, splice the kinect power adapter so we can hook it into our battery. The white wire is the ground, and the brown wire is the positive. So we got a battery which sources 12V. It’s going to power the Computer, Kinect, and motors. Then I’ll use 5V to power everything else, except the imu. That will be powered directly by the Arduino. Chefbot uses Ubuntu 14.0.4 on both the onboard computer and the remote computer. Similarly, they both use ROS Lunar. Test the installation by reading in an image then displaying it. Now that we have the stack installed, set up the Chefbot code. Then test the ROS package by running chefbot_bringup launch files. 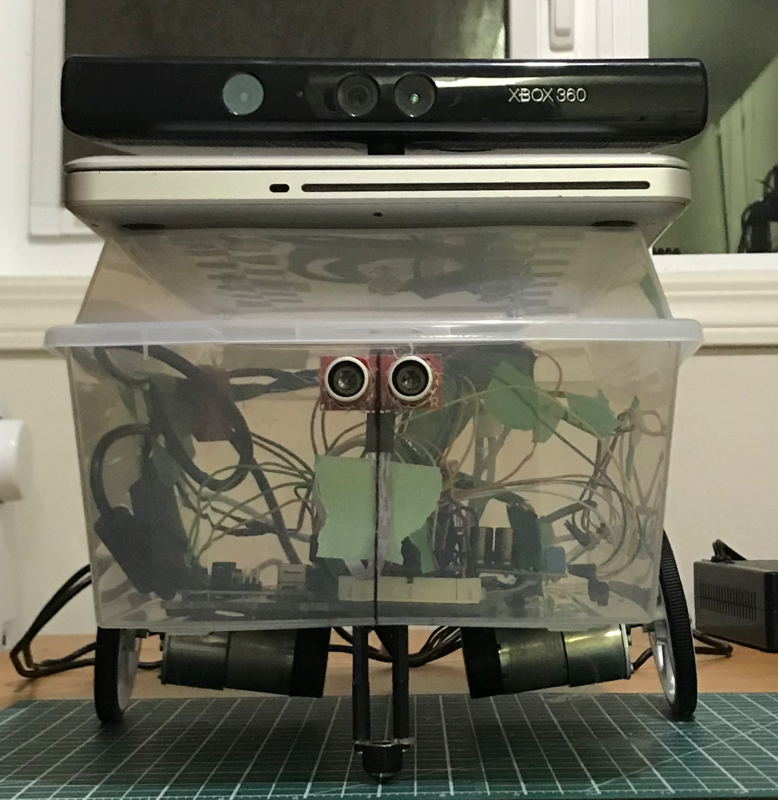 Set up the Kinect ROS stack and test it. If you can’t get the Kinect to work, it’s likely that you need to provide more current and voltage. To check if the kinect is connected correctly, run lsusb. There should be 3 Microsoft devices listed. We can control Chefbot from the remote computer by running: roslaunch chefbot_bringup keyboard_teleop.launch. Note: teleoperation always takes control precedence. 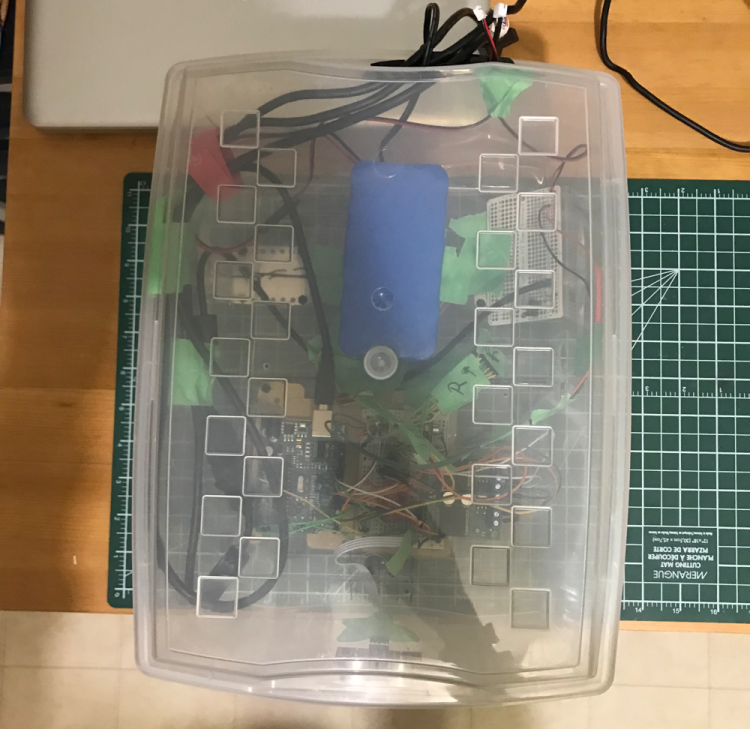 We can also control Chefbot from the remote computer with a variety of joystick devices. Turtlebot provides Gazebo bindings some of these devices. If you have a xbox 360 controller for Gazebo simulation, you can use: roslaunch turtlebot_teleop xbox360_teleop.launch. I’m using a wireless controller with a wireless receiver which is plugged into the remote PC. I had to port the Turtlebot xbox360 teleop node to Chefbot. It was a challange as the code is written in C++ as opposed to python. This introduces a build step which is defined by the CMake file. Then I routed the node to /cmdvelmux/input/teleop. We can use the kinect to map our environment. This map can be used by Chefbot to orientate itself, and navigate autonomously. 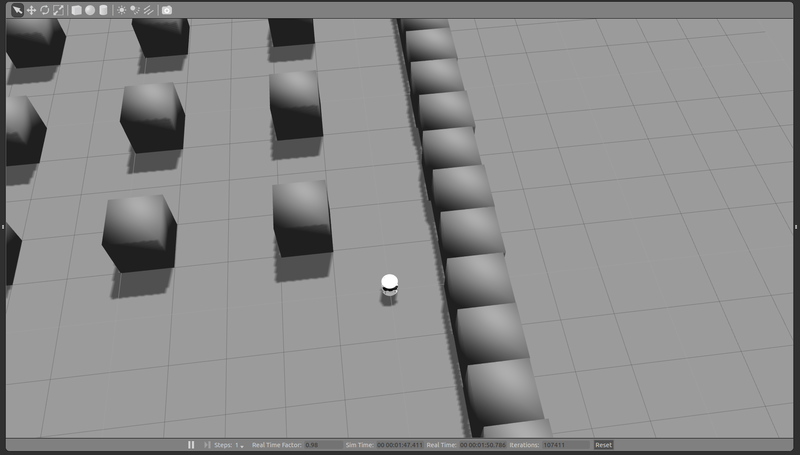 Now that we’ve established that our system is up and running, we can start the 3d mapping process. We may need to specify the initial pose with 2d pose estimate. After, we can direct the robot to a target. To perform Intrinsic calibration of the kinect, Install OpenNI driver packages and camera calibration packages for ROS. Move the checkerboard and collect image samples. Repeat the above for the Depth camera. The commited files will be used by ROS when running the Kinect. Note: The depth camera seems to not trigger well with flourescent lighting. Ensure the checkerboard is lit by a infrared source. Wheel Odometry calibration is required to reduce navigational errors. We will calibrate the MPU6050 for this. Load the MPU 6050 Calibration sketch and place the MPU6050 on a flat surface. Run the sketch for 5 - 10 mins and take note of the gyro values. Set the offset values in the Chefbot Arduino program to those of the readings. Repeat until we get a reading of 0 on all gyro axis. To create a GUI, install qt-sdk, rqt, and PyQt. Next, design the GUI with: designer-qt4. After building the GUI, we create bindings to python.